Keune Color Education: 24/7 Wherever YOU Are! When’s the last time you brushed up on your color basics? Now is the time to refresh your knowledge of Keune’s high quality, salon-only color range with education on-the-go! Keune Color is formulated using superior ingredients and aims to inspire endless creativity while providing flawless results in the salon. Tinta Color specifically, is created with a cream derived from coconuts that protect the scalp from staining, adds luster to your strands and provides a pearlescent texture for easy mixing. We wanted to know what stylists loved most about Keune Color and what they needed to know more about, which is why we then created this educational video series just for you! Keune’s much-anticipated Keune Color Basics Video Series is now LIVE on the Keune Brand Portal – giving you Keune Color Education anytime, anywhere. 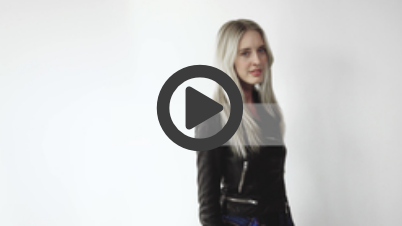 Available for download, Keune’s Technical Director Amber Skrzypek takes you through the basics of Keune Color in five videos perfect for the new user or the experienced Keune Colorist in need of a quick refresher in Keune Color Education. The Keune Color Basics Video Series goes through FAQs, tips, and tricks that colorists ask most. These 6-10 minute clips are quick, fun and informative videos that are the perfect break room or between client activity. Grab a cup of coffee and pull up the series on an iPad or iPhone to brush up the skills you need most to enhance your color services. Tinta Color Basics: (13 Minutes) You asked, we answered! This video goes through the most frequently asked questions, lets you know exactly how our color works, picking a shade, getting the right coverage and the best ways to formulate for every end result. Advanced Gray Coverage: (6 Minutes) From consultation tips to picking the perfect shade for your client and getting fashion shade coverage on your grey clientele. This video will give you tips for flawless results on even the most resistant grey hair. Blonde Series: (5 Minutes) Takes you through high lift shades, bleach and bleach alternative options to deliver healthy blonde hair to anyone who graces your chair. Get to know more about the Special Blonde Series, Super Ash Blonde Series, Super Blonde Tinta 2000, Ultra Blonde and Cool Boosters. Semi-Color: (8 Minutes) We discuss when to use Semi-Color and tips for best practices. Learn mixing ratios, application strategies and how to pick the best color for your client. After-Color Care Programs: (2 Minutes) Get the color you created to last! It covers the importance of home-care. Including what you should be using and why to keep clients’ color looking vibrant and shiny between visits. Stylists can access the Keune Color Basics Video Series by reaching out to your distributor sales consultant. Stay up to date about the latest Keune Color by following @Keunenamerica on Instagram!